The heady days of the 80s and 90s are gone and it’s time the advertising industry passes through the five stages of grief through to acceptance, argued IPG Mediabrands CEO Danny Bass. 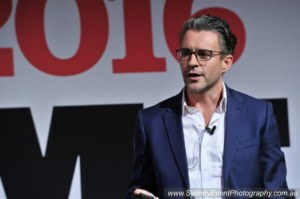 In an interview with AdNews for the upcoming February issue on the Changing Nature of the Agency Model, Bass said agencies may not operate on the same weighted margins as 20 years ago, but the industry is still in great shape. The five stages of grief are denial, anger, bargaining, depression – then acceptance. “You can still have a margin, that compared to all other margins is incredibly healthy. You can still be a large organisation," he said. Bass described the challenges that agencies have faced over the last decade as a “reset”. It's this reset that has driven changes within the IPG Mediabrands group and within its agencies, such as Initiative, UM, Reprise and Cadreon. 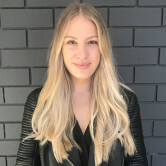 This includes the reintegration of specialist services back into media agencies following their digression in the early 2000s; a shift that saw social media agency Society rolled under the Reprise banner within the Mediabrands network. Beyond the integration of specialist agencies, there are other trends across the ad industry that Bass said must be accepted as the new norm. These include the presence of procurement in pitches and the shortening of client/agency relationships. “You could end up with clients who pitch every year if they’re just about shaving a bit off the media fee. There will be some that use a smaller team to save money and that’s the reality," he said. “So, as an industry we have to be super adaptable because the way business has been run in the past and those expectations are gone. Today, we need size and scale, which is what we have. We need this to be able to invest in our people and invest in the technology we need in order to prepare for the future." Those who don't have size and scale or a unique proposition will struggle, Bass said, especially as there are fewer media owners operating in Australia with 2018 being a year of landmark mergers in the outdoor sector and between Nine and Fairfax. Having also spent five years within WPP-owned GroupM before joining Mediabrands three years ago, Bass has a comprehensive understanding of the pressure at the top of holding groups from leadership overseas, which can dictate operation models and participation in global pitches. “We can run the market relatively at our own pace even if we might never move at the full pace I would love us to," he said. To combat these issues IPG Mediabrands has made significant changes during Bass' three-year tenure. It's moved layers of complexity out of the business, supporting the agencies centrally in areas, but largely leaving them to operate self sufficiently. The group also hasn’t chased a model of ‘horizontality’ or introduced new client structures like Publicis Power of One. The media side of IPG also doesn’t play the global pitch game as aggressively as some of its competitors, Bass said. That doesn’t mean Mediabrands’ agencies don’t benefit at all from global account shakeups. In 2018 UM retained the Lego account and won Carlsberg as part of global moves. Mediabrands globally also won Amazon media, but Bass argued it’s not beholden to global wins. “Price plays a part and we will always be aggressive where we need to be, but it’s a zero sum game if you’re just chasing vanity statistics and global billings. We don’t pursue that,” he said. UM dominated the pitch carousel in 2018, scoring the $150 million Australian Government media account as well as Nestlé and AGL last year. Initiative was appointed to the $60m Government of Western Australia alongside Carat, while its Sydney office won accounts including Revlon, Under Armour and John Cootes. Bass has a few key items on his agenda for 2019 including creating more efficiency in the trading and investment arm of Mediabrands, as well as possible acquisitions. “I’m happy with how we’re set up and the pace that we can move. We’ve got a strong spread of clients across the group with room for growth as we aren’t tapped out in every category. He may have his eye on acquisitions, but Bass won’t buy something to inflate the numbers or that will create a “logo soup” on client presentation slides. "Everyone has a 2020 plan. What they don’t realise is the same things will happen; we’ll pitch every year and we’ll win some and lose some. We’ll hire more people than ever before and we’ll still play a key role to our clients," he said. This interview is part of our February content series on the 'Changing Nature of the Agency Model' that explores remuneration, global pitches, competitors and more. To read the full feature subscribe here to see it all in print.